Almost every organization has one or two applications that run the business. Access to these applications is critical if the organization wants to maintain their customers. Applications form the core functionality of every end point device. In order to create content, lookup information or get a job done, users need access to applications. 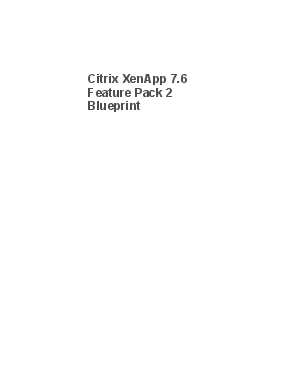 Finding a way to deliver the right application to the right user is the goal of Citrix XenApp. Download this whitepaper to get the blueprint for your application virtualization solution: Citrix XenApp.